The ratio in the toddler program is one teacher for every five children, with a maximum of 15 children and three teachers per room. In our toddler program, each child’s individual needs are met by flexible scheduling, including structured indoor and outdoor activities. Developmentally appropriate activities foster the growth of self-help skills, language development, social awareness and positive, non-aggressive problem solving skills in each child. The Center’s classrooms provide a stimulating environment, where the teachers work together in planning daily activities to meet the developmental goals of the children. Lullaboo strives to provide an environment which contains a wide variety of materials that are challenging, familiar and loved. 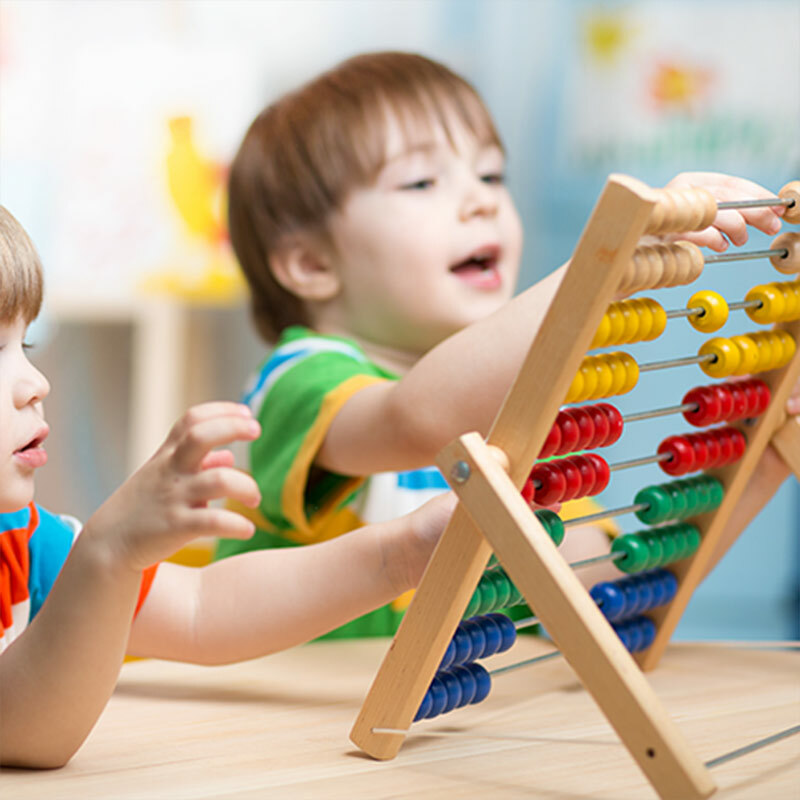 The teachers encourage different kinds of play and activities designed to enhance and focus a wide range of your child’s skills, including construction, role play, gross motor, problem solving, discovering, communicating, creating, imagining, reading, writing, numbers, space and measurement. During your child’s time in the toddler program, their teachers will work closely with you to help your child transition through the stage of potty training. Our goal is for each child to enter into the preschool program either being potty trained or in the process.